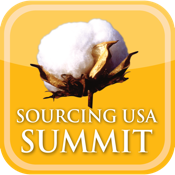 TripBuilder EventMobile™ is the official mobile application for the Sourcing USA Summit 2012 taking place in Palos Verdes, CA and starting on November 13, 2012. • Easily view event info, instant alerts and more right on your mobile phone. This TripBuilder EventMobile app is provided at no charge by Cotton Council International and was designed and developed by TripBuilder, Inc. If you have any questions, or need any support regarding how to use this app, please email support@tripbuilder.com.